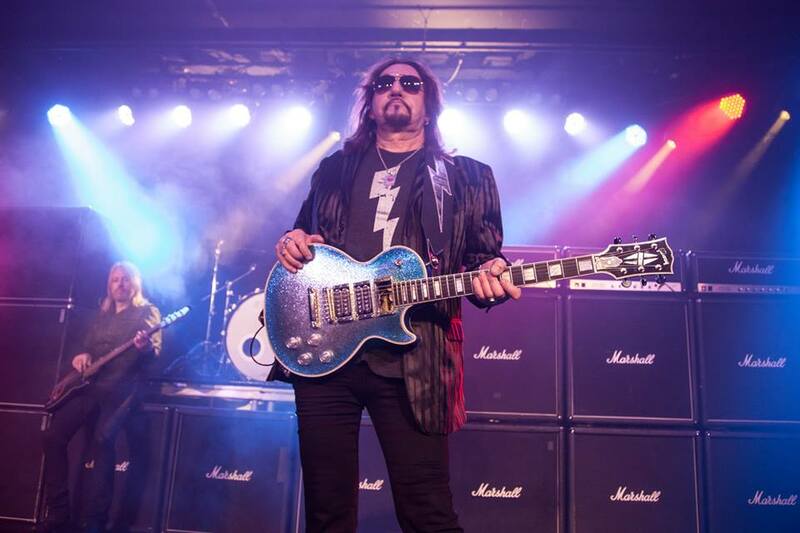 Original KISS guitarist Ace Frehley will perform his 1978 hit, "New York Groove", during the pre-game festivities at the 2018 Bridgestone NHL Winter Classic on New Year's Day when the New York Rangers host the Buffalo Sabres at New York's Citi Field. The track from Frehley’s 1978 solo release is played at Citi Field following every home win by the New York Mets. The Goo Goo Dolls will take the stage during the first intermission of the 10th anniversary edition of the annual NHL event, which will also see E Street drummer Max Weinberg and Max Weinberg's Jukebox serve as the house band by performing throughout the outdoor game. The NHL Winter Classic will be broadcast live on NBC, Sportsnet and TVA Sports on January 1 at 1 p.m. EST. Frehley and the original lineup of KISS were inducted into the 2014 Rock & Roll Hall Of Fame alongside Nirvana, Peter Gabriel, Hall and Oates, Cat Stevens, Linda Ronstadt, and The E Street Band. You can watch Ace's performance at the NHL Winter Classic here.